Harrington Group Total Quality Management Systems. Have you ever thought about intrinsic core values and principles necessary for the successful operation of organizations? Those all comes together as “quality factors” in an organization. 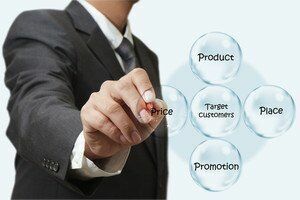 You may want to improve the total quality of products and services with the aim of improving business performance. You might wonder how to do it. Then, you should not forget the following elements in your organization. Supplier quality management of your firm. We provide you with a total solution for Total Quality Management Software of your firm. It will bring all the core values and principles on which the organizations operate together. More importantly, our solution will do a change in employee attitude towards quality. It will inculcate the scope of quality of your product from top management to lower level employees, persuading them as an essential element in the production process. – set-up training for employees when and where required. Undoubtedly, our solution will bring you a centralized quality hub for your esteemed organization and will bring you long-term success through customer satisfaction. In the presence of tight regulatory control and compliance and the ability of the client to leverage product quality as a competitive differentiator, total quality management system solution is a must in today’s competitive business. Our solution brings you manufacturing intelligence and the ability to achieve Total enterprise quality Management Software systems across all spheres of your organization.